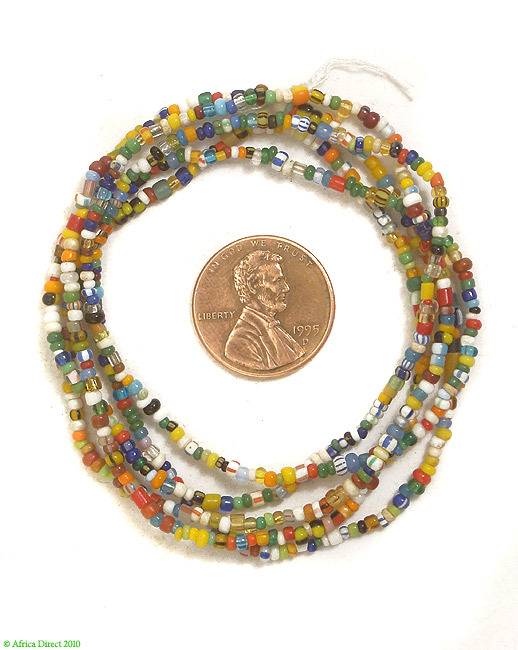 Bead Size 2-3mm in diameter. See picture with penny for size comparison. Picture is an example. Yours will be very similar, but no two strands are exactly alike. 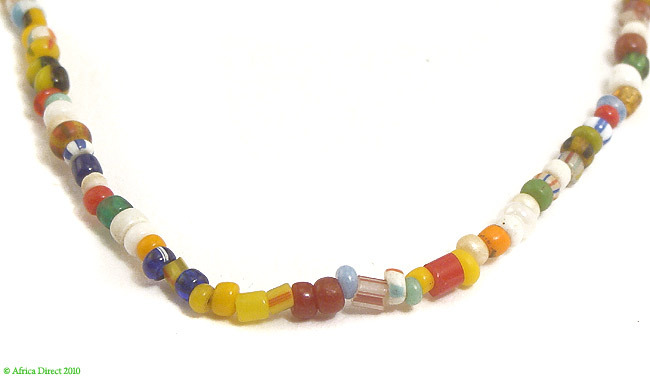 Beautiful little "Christmas Beads" from Africa. These were often worn as a multiple strand waistbelt under skirts. Great for gifts or to wear several strands at once.